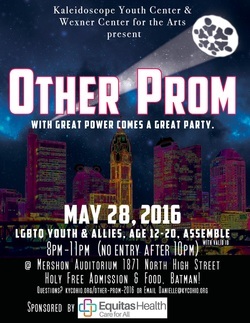 Other Prom is a free alternative prom for (LGBTQ) youth ages 12-20 and their allies. 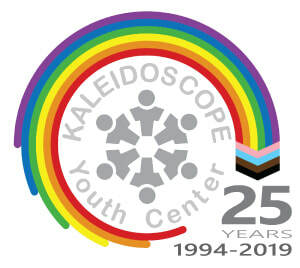 This event is a partnership with the Wexner Center for the Arts and Kaleidoscope Youth Center. The theme this year is a play on superheroes. This fabulous alcohol and drug-free event features all the makings of an awesome prom! This is a great opportunity to wear traditional prom attire, casual clothes, a superhero costume or anything in between (please come dressed to express)! There will be hors d'oeuvres and a photographer to take prom pictures (optional). FREE admission, snacks and non-alcoholic beverages! Questions? Need more info? Please email Danielle at Danielle@kycohio.org.